Chances are if you are, like me, a FB addict, it is because you enjoy being around people you like who in turn, like you. We are having a 24/7 cocktail party—milling around—chatting, laughing, sometimes crying. Our conversations are often light, sometimes heavy but usually leave us feeling somehow fulfilled. I live for being loved in life: husband, kids, patients, FB friends and followers. And it kills me when I’m not. Yesterday, I heard of two very unhappy patients in my practice. Those that know me well know that I am absolutely intolerant of incompetence, rudeness, or poor customer service from my staff. I set an (at times impossibly) high standard and I hold all within my practice to it. When they slip, they hear about it, in no uncertain terms and without much cuddling. Here’s the rub. What if the person not upholding the standard is me? When I hear about an unhappy patient, my first instinct is a gutted, sick feeling in my stomach. My second instinct is defense: “no way, not my practice, not me, something’s wrong with them.” Once I am over #1 and #2, my instinct is to investigate. What happened? Who did it? How can I make sure it never happens again? Yesterday’s complaints left me doing more introspection than investigation. I am much worse at that. A patient that I have known for several years recently died. She was elderly and quite ill but her death happened rather suddenly. She was admitted to the hospital with an infection and dehydration that resulted in a rapid decline. She was admitted to hospice and shortly thereafter died peacefully. There was no medical wrong doing on any part. It was as natural as a death could be. This patient’s daughter, who is also a long term patient of mine, called and wept to Judy about the simple fact that I never called to check on her mother’s hospitalization. I didn’t call to follow up on the hospice admission, and, the worst offense: I didn’t offer condolence in any form. True on all counts: I made not one single phone call to this family from admission to transfer to funeral. Shame on me. Now the deconstruction: it comes to one simple fact. I am, at times, too busy for my own good. I did get the faxes about the hospitalization. I did get notification that my patient was admitted to hospice. On that day, I recall quickly asking the hospice doc if “the family was ok with that?” Yes, he said. That was enough for me. In my defense, I was not notified by hospice of her death. However, I have known this family for 10 years. How could I accept a veritable stranger’s account that they were “fine?” Of course they weren’t fine, their loved one was dying, and I, their long time physician was MIA. A patient saw me for three consecutive visits. At the first visit, she was squeezed in as an emergency for a painful finger. That visit was crammed in over a lunch break that was barely existent to start with. It would have been easy: see the finger, order the x-ray, splint, swallow my yogurt and move on. Unfortunately, this patient had a long list of other complaints. The last of which was a “cough.” I listened to her lungs: clear. I added a chest x-ray to the finger x-ray: normal. I prescribed cough medicine. I didn’t have my yogurt. A week later, she returned, again as a squeeze in for a sick visit: persistent cough. In my head: “chest x-ray is clear, she doesn’t look sick, probably viral.” The patient said to me “I have been coughing for a while, what if I have Pertussis?” Again, in my head: “Everyone that coughs now thinks they have Pertussis.” Out of my mouth came:” I don’t think so, but we could put you on an antibiotic just in case.” She accepted and I prescribed a Z-pak to cover the potential Pertussis I didn’t think she had. The patient was seen by an ENT practice where a blood test for Pertussis was done. It was positive Not only did I miss it, I was perceptively dismissive about the patient’s concern. Apparently, the conversation in my head was not so hidden in my interaction with the patient. She was angry enough to say that she was leaving the practice just as soon as she got her records. If I am really honest with myself, I WAS dismissive. I was downright annoyed that I didn’t get my 10 minute break and that this non-medical patient had the nerve to question me. Once again, shame on me. I let so many factors color my judgment. I should have stopped to hear what she was saying. She HAD coughed for a long time. She HAD been in a highly endemic area. I SHOULD have tested her and treated her at least one week sooner. First, I need to slow down. I need time to digest the flurry of information thrown at me. A dying patient, no matter how old or sick, deserves more than a cursory check mark on a fax. Never again. Second, I need to HEAR all of my patients: even the ones that seem unaware of my time constraints. I need to educate my staff about “squeezing” people in. Sometimes that facilitated “same day” appointment is worse than a longer proper appointment that is delayed by a day. 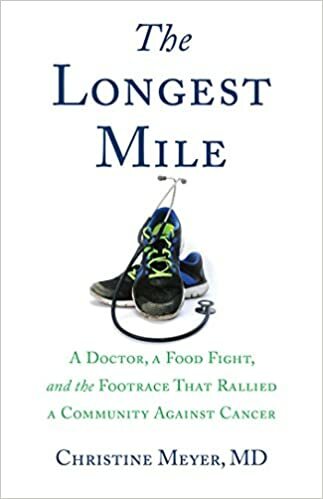 The running theme seems to be “not enough time.” Not enough time with the patient to hear their concerns, not enough time to really think about the information I am barraged by, not enough time to clear my head enough for the next thing to crowd in. Thankfully, as I write this, reinforcement is around the corner. With the help of another doctor, I will get just what I need to do better: time. Maybe I will even switch from a chug-able yogurt to one eaten with a spoon. Share the post "I Love Being Loved. Sometimes I’m Not"